Welcome to CMH Osceola Community Pharmacy. MyChart Patient Portal is the secure, web-based method for patients to access not only their medical records and prescriptions, but also secure communication between you and your care providers. This is available from any computer with Internet access. Online refills are available without a MyChart Patient Portal account, through a secure web page. Click here to order medication refills. You can also call 417-646-5052 to request prescriptions by submitting a refill request by phone directly to the pharmacy for processing or to talk to a pharmacist. At CMH Osceola Community Pharmacy, we can help you save money on your prescriptions by letting you know if a generic medication is available and if it is the right choice for you. Our pharmacy is conveniently located in the CMH Osceola Medical Center and Walk-In Clinic. No need to drive out of town for medications. Patients can easily have their prescriptions filled or purchase over-the-counter medications locally. 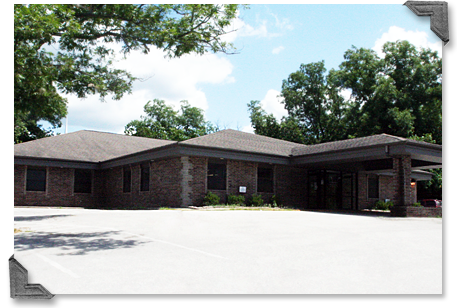 We accept most major insurance plans including CoxHealth and Mercy. CMH Osceola Community Pharmacy is located inside the CMH Osceola Medical Center and Walk-In Clinic. Take Business 13 Exit (Truman Rd) and go East .2 miles. At gas station, turn left on Arduser Drive. Go up the hill and the Medical Center is on your right at the top of the hill. Conveniently located inside CMH Osceola Medical Center, the CMH Osceola Community Pharmacy offers friendly, reliable and convenient service. Whether you need a prescription filled, looking for discounted over-the-counter medications and diabetic patient supplies, or you have a question for our pharmacist, stop by the pharmacy for personalized service. Our community-based pharmacy accepts most major insurance plans. Call 417-646-5052 to fill a prescription, transfer a prescription or talk to our pharmacist.